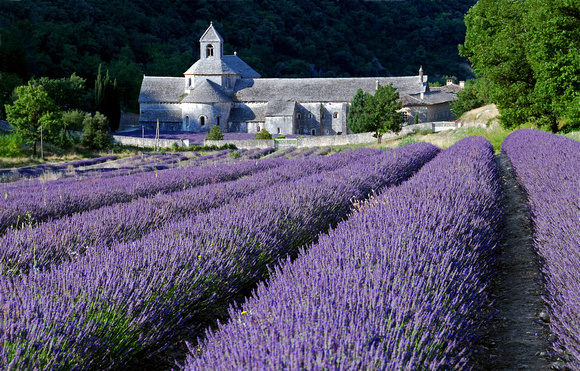 HomeAllWhere are the Best Markets in Luberon ( and when) ? To visit a market is one of the pleasures. In general, you will be sometimes within a packed crowd. Beware of pickpockets ! Here is a “short list” of the ones our guests like most. 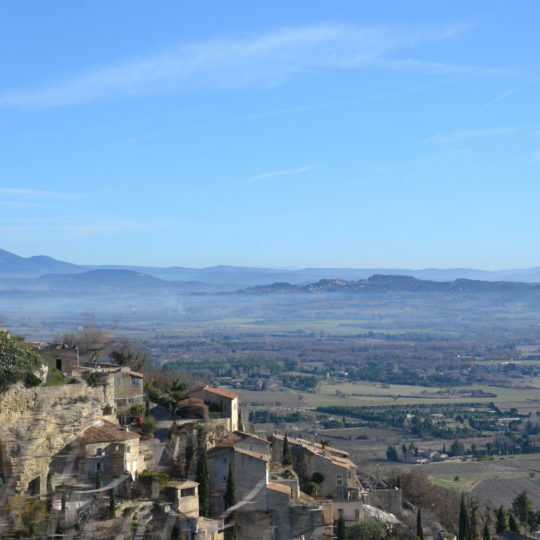 2- Lourmarin – Friday morning ( Probably the best because you mix with French people and it is a bit more sophisticated in style – You have asso nice fashion or jewelry shops at reasonable prices). It is Annette’s favorite one. 3- Coustellet – Sunday morning. The advantage is it is “next door”. And you have a little bit of everything. 4- L’Isle-sur-la-Sorgue – Sunday morning. It is huge. A tip : Go early and try park at the toll parking lot behind the post- office. It is safer and you are in the middle. 5- Apt – On Saturdays morning. It is also very large. You get a lot of immigration there but they are real nice. So it is a bit “exotic”.Prices are low. Parking is better if you take a shuttle bus at the old train station – On the main road before the city center. 6- Velleron Farmers Market – Almost everyday at 6 00 PM SHARP. This one is very attractive. You must arrive early ( at 6 00) to measure the wave of shoppers entering the court. Now there are many others, I could mention. 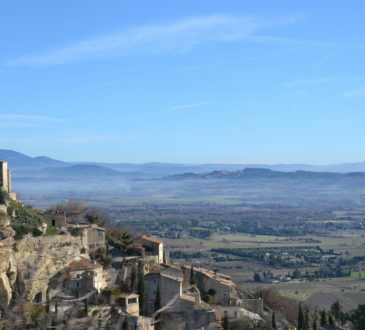 One is Carpentras on Friday mornings. This one is large and also you see real local people. Authentic. 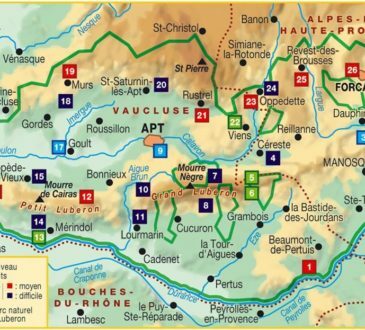 You could combine that with a visit of the synagogue and then Chatauneuf-du Pape, Gigondas, Ventoux mountain, Dentelles de Montmirail and many other things north. By the way, the Carpentras Synagogue was built in 1367, is the oldest in France still active. Many guests from the United-States make the detour. 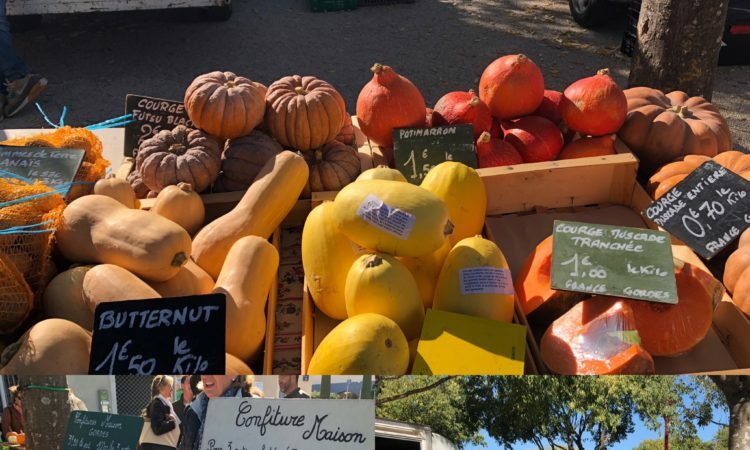 Note that the Carpentras market usually carries truffles. It is one of the largest market but the normal season is …winter.